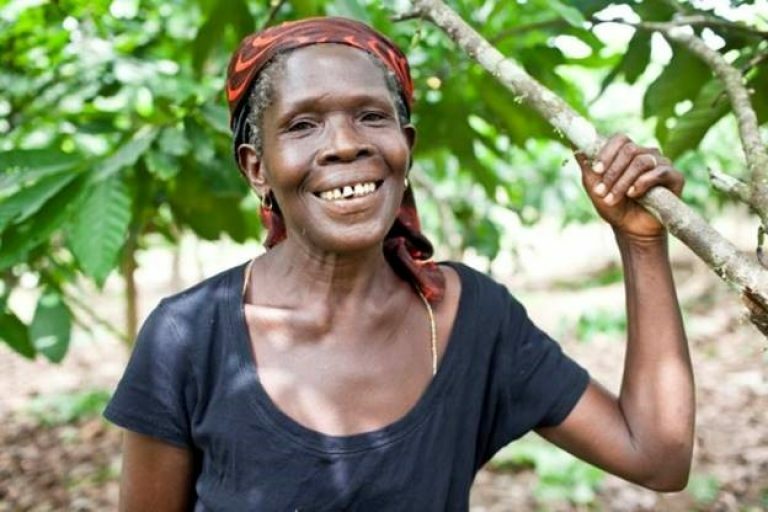 With over two million smallholder farmers and 10 million people in West and Central Africa relying on cocoa as their main source of income or part of their livelihoods, a healthy and sustainable cocoa industry means opportunity for economic growth and poverty alleviation in the region. A major threat to this vision is the devastating Cocoa Swollen Shoot Virus (CSSV), spreading rapidly in Côte d’Ivoire, Ghana, Nigeria, and Togo. WCF, through CocoaAction, has developed an early detection tool which has the potential to safeguard the livelihoods of millions of farmers in the region. CSSV is a plant virus endemic to West Africa that attacks all stages of the cocoa plants, from seedlings to young and mature trees, and is responsible for the Cocoa Swollen Shoot Virus Disease (CSSVD). CSSV first appeared in 1936 in Ghana and, within seven months, an area of about 500km2 was described as “devastated”. The virus is transmitted by insects called mealybugs when they feed on cocoa plants. Scientists also believe that some forest tree species may harbor CSSV. 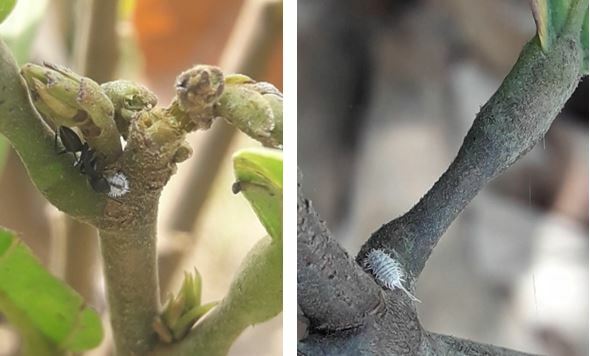 Mealybug species known to spread CSSVD on cocoa trees. Several strains of the virus have been identified and a farm, a region, or a country may have more than one strain at a time, suggesting that viral mutation may be occurring. In such situations entire farms and regions could be quickly devastated. When a cocoa tree is infected, it takes a while for symptoms (swelling of shoots and red ban vein on young leaves or flushes) to manifest and three years for the tree to completely die. As a result, farmers may inadvertently spread the disease by sharing infected planting materials or through grafting and transferring infected germplasm. This is the main cause of the rapid spread of the virus in Côte d’Ivoire, Ghana, Nigeria, and Togo. The only known cure is cutting and destroying infected trees. On August 23, 2018, the governments of Côte d’Ivoire and Ghana announced a concerted, joint control effort to combat CSSVD. They described the threat posed by CSSVD as comparable to natural disasters like tsunamis and earthquakes and urged producers to allow their farms to be treated. The virus has already infected 16.5% of Ghana’s cocoa areas (more than 300,000 ha) and the government is planning on investing an estimated US$33 million to replace 22,850 ha of infected cocoa farms across the country over the next two years. 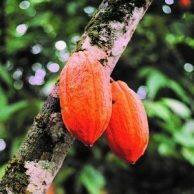 The government of Côte d’Ivoire will cut more than 100,000 ha of infected cocoa farms in the next three years, which will cost an estimated US$19 million. The prevalence of the disease is not yet well-known, and neighboring countries like Cameroon may soon be infected. The World Cocoa Foundation (WCF) believes that the key to CSSVD eradication is early detection, both in planting material, before seedlings reach farms, and on existing trees, before symptoms occur. This should be part of an integrated approach to identification, management, cutting out of infected farms, replanting, and diversification. 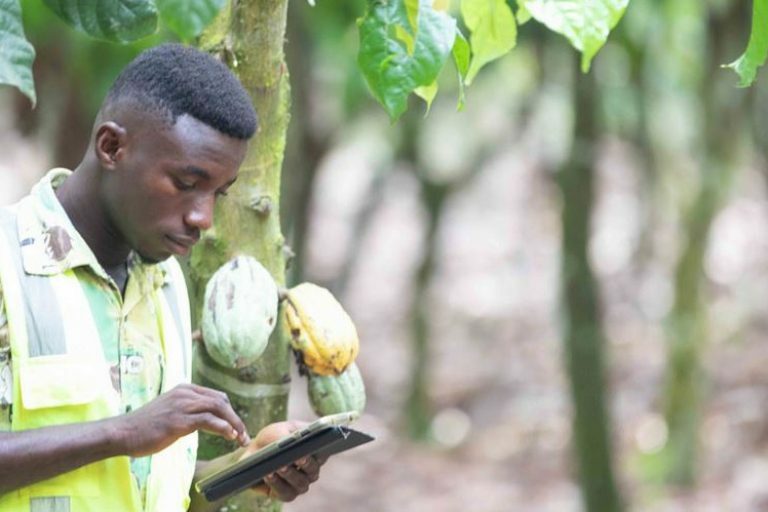 WCF through the industry-wide CocoaAction strategy and in collaboration with public and private partners, has created an early detection tool that will soon be deployed in Côte d’Ivoire. This early detection tool combines real-time polymerase chain reaction (PCR ) and DNA-based genetic testing (a plant is declared diseased if the DNA of the virus is present). A handheld PCR device is used to screen samples in the field, and only a few samples are sent to a specialized laboratory for DNA testing. This process requires a robust sampling protocol for farms and nurseries to ensure proper analysis of the disease presence and its spread. WCF is coordinating a regional program supported by the governments of Cameroon, Côte d’Ivoire, Ghana, Nigeria, and Togo, development partners, and the private sector to make a concerted effort to fight the disease and its spread. Field observations have shown that CSSV is more prevalent in full sun or open canopy cocoa systems. Cocoa trees studied in Côte d’Ivoire and Ghana on farms with shade trees or non-cocoa tree species were not infected by the virus, suggesting that tree diversification may offer some protection for the farm. Host plants on cocoa farms serving as a reservoir for mealybugs. Ants (L) usually shelter mealybugs and help them to move from one plant to another. 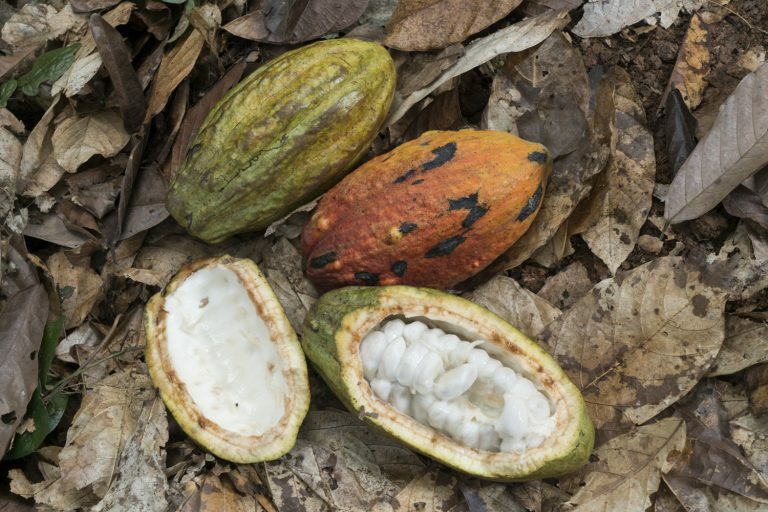 WCF and member companies will continue to evaluate whether cocoa farmers should deploy agroforestry practices that involve planting a diversity of tree species with cocoa and barrier crops to prevent their farms from being infected by the virus. There is also evidence to suggest that cocoa agroforestry systems using at least 50% shade cover may be an optimal coping strategy for minimizing CSSVD susceptibility while also maintaining a reasonable yield. However, any agroforestry recommendation needs to be balanced with other considerations such as official agricultural extension support, good agricultural practices, the condition of the farm and the wider landscape. CSSV-resistant planting materials do not exist yet, but there are on-going and continued efforts to identify and breed traits from varieties showing tolerance potential. It is also worth noting that WCF’s African Cocoa Initiative, supported by the US Agency for International Development (USAID) and WCF member companies, is also working with the cocoa research institutes of Ghana (CRIG) and Côte d’Ivoire (CNRA) to develop CSSVD tolerant planting materials and to make these materials available to farmers.